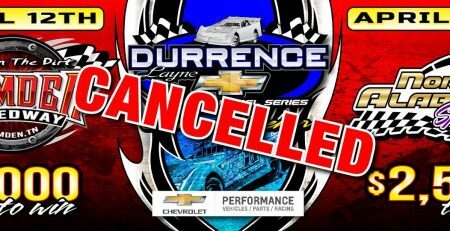 ADAIRSVILLE, GA – A Friday/Saturday Double Header this weekend is scheduled to open the 15th season for the Durrence Layne Chevrolet Dirt Late Model Series. Camden Speedway in Camden, TN will host a $2,000-to-win $200-to-start 40-lap race this Friday night, and North Alabama Speedway in Tuscumbia, AL will host a $2,500-to-win $250-to-start 50-lap race this Saturday night. The total payout for this Friday night’s race at Camden Speedway is as follows: 1. $2,000; 2. $1,000; 3. $700; 4. $550; 5. $500; 6. $425; 7. $375; 8. $350; 9. $325; 10. $300; 11. $275; 12. $250; 13. $225; 14-24. $200. Drivers that fail to transfer to the main event, but start a B-Main will receive $35. The total payout for this Saturday night’s race at North Alabama Speedway is as follows: 1. $2,500; 2. $1,250; 3. $850; 4. $700; 5. $650; 6. $550; 7. $500; 8. $450; 9. $400; 10. $375; 11. $350; 12. $300; 13. $280; 14. $260; 15-24. $250. Drivers that fail to transfer to the main event, but start a B-Main will receive $50. The opening races always set the stage for the season that pays $10,000 to the National Champion and the right to hoist the Durrence Layne Cup at the Annual Durrence Layne Racing Awards Banquet. Last season, Ashton Winger of Hampton, GA and Jake Knowles of Rome, GA battled on the track from the first race to the final event. Winger took the title by ten points. At age 18, Winger was also the Cruise With The Champions Rookie of the Year and the VP Racing Fuels Young Guns Challenge Series Champion. Winger has moved on in his young career and will not defend his title. Knowles is expected to return to compete for the championship that got away last season. A host of drivers are expected to join Knowles in the chase for the Durrence Layne Cup in 2019. That list includes Decherd, TN drivers Chase Walls and Jadon Frame, who will also compete for the Cruise With The Champions Rookie of the Year Award. A former VP Racing Fuels Young Guns Challenge Series Champion Cruz Skinner of Oxford, AL will also run for Rookie honors. Jake Rainey of Powder Springs, GA will run for the Cruise With The Champions Rookie of the Year Award, and the 15-year-old second generation driver will also run for the VP Racing Fuels Young Guns Challenge Series title. Another VP Young Gun is 18-year-old Spencer Hughes of Meridian, MS.
Top 10 Durrence Layne Chevrolet Dirt Late Model Series drivers from last season returning for 2019 include Andy Picklesimer of Ooltewah, TN, Marcus Minga of Shannon, MS, T.J. Britton of Centre, AL, and the Hohenwald, TN Gang of Tyler Wood and Oakley Johns. Two-time Durrence Layne Dirt Late Model Series National Champion Eric Cooley of Fulton, MS is also expected. 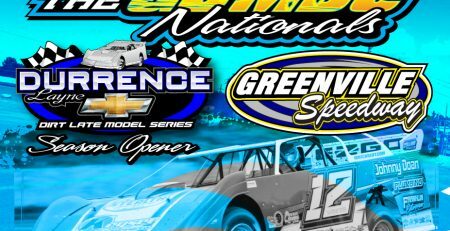 Several local favorites that compete on a weekly basis at Camden Speedway and North Alabama Speedway in the Durrence Layne Weekly Racing Series are expected to join the National Touring drivers this weekend. 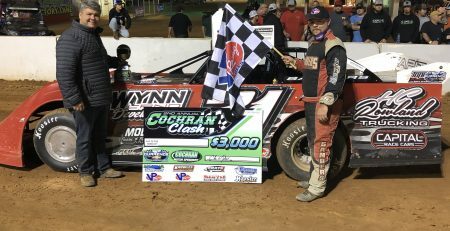 Brad Skinner warmed up with a win last Saturday night at Camden Speedway, followed by Ronnie Cooper of McKenzie, TN, Ben Garner of Greenfield, TN, Logan Brown of White Bluff, TN, Adam Ray of Smithland, KY, Joe Mike of Mayfield, KY, and Jimmy Halford of Atwood, TN. 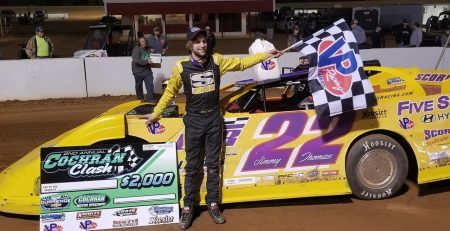 Cruz Skinner took the Durrence Layne Weekly Racing Series Late Model Division win last Saturday night at North Alabama Speedway followed by Jason Markewitz of Waterloo, AL, Braden Mitchell of Russellville, AL, Dustin Harris of Flintville, TN, Matt Brazil of Red Bay, AL, and Matthew Brocato of Muscle Shoals, AL. On Friday at Camden Speedway, the Pit Gate opens at 4 p.m. with Durrence Layne Chevrolet Dirt Late Model Series Registration and Pre-Race Technical Inspection from 4 p.m. to 6:30 p.m. The Drivers Meeting is scheduled for 6:30 p.m. with Hot Laps and Racing to follow. Camden Speedway is located at 500 U.S. Highway 70 Bypass, Camden, TN 38320. 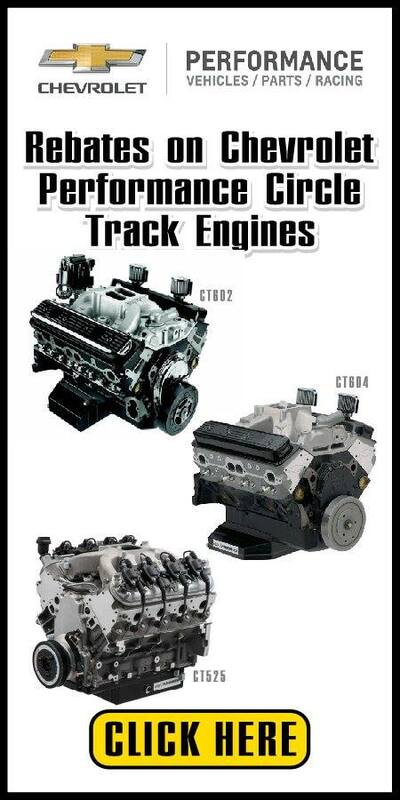 For more information call 731-924-2111, or visit the track web site at www.camdenracing.com. You can also Like them on Facebook at www.facebook.com/camden.speedway. 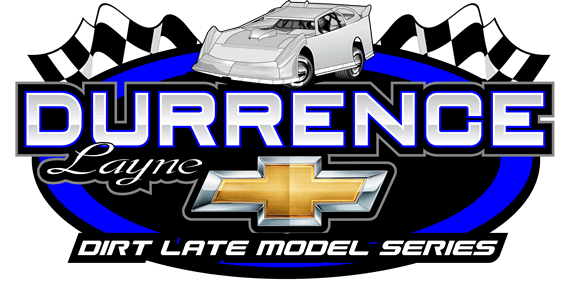 On Saturday at North Alabama Speedway, the Pit Gate opens at 4 p.m. with Durrence Layne Chevrolet Dirt Late Model Series Registration and Pre-Race Technical Inspection from 4 p.m. to 6 p.m. The Drivers Meeting is scheduled for 6 p.m. with Hot Laps and Racing to follow. North Alabama Speedway is located at 12200 Highway 247, Tuscumbia, AL 35674. For more information call 256-702-5852, or visit the track web site at www.northalabamaspeedway.com. 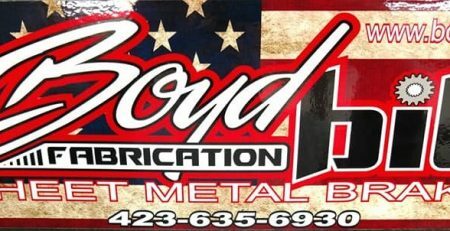 You can also Like them on Facebook at www.facebook.com/North-Alabama-Speedway-1859023771051856/.